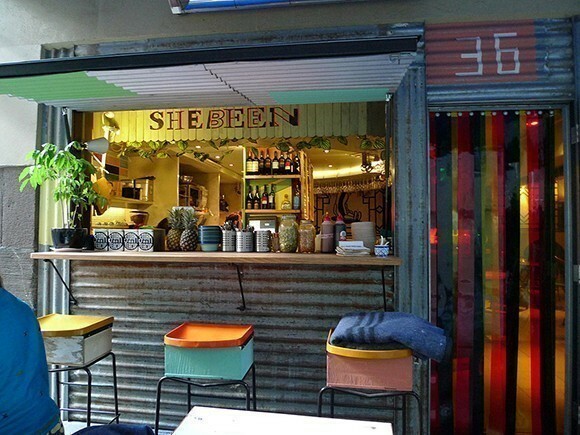 Shebeen is set to “go out with a shebang” this weekend, after Australia’s first Not for Profit bar announced it would be closing its doors due to a “perfect storm of challenges”. The high-profile social enterprise, which takes its name from the illegal drinking dens of South Africa and Zimbabwe that sprang up during apartheid, opened in 2013 with a vision to serve beer from developing countries with the profits going to projects in the country of origin. Despite initial success, the owners of the Melbourne bar and popular music venue, which raised a total of $12,787 for charity over it’s three-year lifespan, announced earlier this month it would be serving its last drink on 25 June due to poor financial performance, clashes with police and ongoing regulatory challenges. Founder Simon Griffiths told Pro Bono Australia News it was a difficult business model to turn into a success. 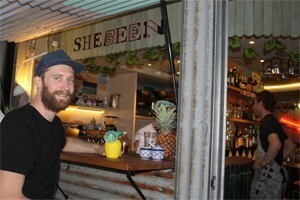 “Shebeen was one of the first social businesses globally to test the business model we created,” Griffiths said. “In hindsight, there are a number of things that made Shebeen a challenge… Our ‘product-market fit’ wasn’t right: it turns out the socially-conscious target market generally doesn’t have a high disposable income, and is not usually sitting in a bar drinking cocktails at 11pm on a weeknight. “We made early projections without fully understanding this complexity of the business, and have learned the pitfalls of doing this. Early on, we were excited to share that we had made $6,000 in a single week. Unfortunately weeks like this proved to be less frequent than we had hoped, and we had weeks where we lost money as well. Those involved said they were keen to “celebrate the failure”. On their Facebook page Shebeen invited supporters to celebrate “the experiment that Shebeen was, the lives that it touched, and all of the legends that helped make it happen”. “We are sorry to say that we are closing our doors on 25 June, and would like to go out with a Shebang,” the post read. There have been conflicting reports in recent weeks regarding the real reasons behind the closure. 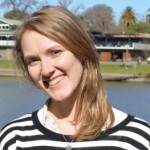 Griffiths told Pro Bono Australia News there were a combination of factors involved. “The stakes were high – there were a lot of unknowns, but if we could prove the model worked, the resulting impact would have be significant. In the end, unfortunately we weren’t successful. There wasn’t any single issue, but rather a perfect storm of challenges that led to the closing of Shebeen,” Griffiths said. “As you know, running any business is hard, and service-based businesses are especially hard. Some weeks are great, and others are terrible. Overall, the business got off to a relatively good start. In our first 18 months, through the 2013 and 2014 financial years, Shebeen performed relatively well. Although we had limited cash flow, we set aside funds to donate $12,787. “In the 2015 financial year we had some operational issues which meant that we had mixed performance – we were profitable through some periods, but not others, and revenue was up for the year we made a small loss overall. It’s very common for a hospitality business to have periods like this. The revenue increase was encouraging and we believed that we could reduce costs to trade our way back to a profitable state. We finished the financial year with the operational issues resolved, and had a good plan to make the business profitable again. Griffiths said one of the unexpected challenges Shebeen faced came about due to sharing a wall with the sleeping quarters of the Melbourne East Police Station. “At the start of the current financial year it became apparent that we shared our basement wall with the Police station around the corner,” he said. “As a result of the disturbance to the Police, the VCGLR [Victorian Commission for Gambling and Liquor Regulation] were asked to look at our operations. Following noise testing, the VCGLR couldn’t find any compliance issues in relation to noise, but took issue with a different clause in our licence and issued an infringement. “As a result of regulatory pressure, we had to make several adjustments to the way we operate the business. Most notably, we could no longer have live music after 11pm, which significantly affected our ability to attract top-notch talent and, therefore, patrons. Live music patron numbers dropped around 20 per cent, and revenue declined roughly 15 per cent in the same period – we couldn’t cut costs fast enough, and our business model became unviable. “We appealed the infringement, but lost last month. Unfortunately we didn’t have the resources to continue to appeal it in the Magistrates Court. In the week that our appeal failed we also had three separate visits from the authorities who said that music noise could be heard in the police station next door, and it became clear that we faced the very real risk of this same set of circumstances unfolding again. In a statement the VCGLR denied it took enforcement action to close Shebeen. “No noise complaints have been made to the VCGLR relating to the venue in the last two years,” the statement read. “An infringement notice was issued by the VCGLR in late 2015 in relation to the venue supplying liquor in a way not permitted by its restaurant and cafe licence – not due to any noise complaints. It has since emerged that despite claims on the bar’s website that they donated 100 per cent of their profits to charity, Shebeen did not actually turn a cash profit for the last three years and was therefore unable to make any donations past the first year. “Donations are restricted by cash flow,” Griffiths said. But in spite of the setback Griffiths said he would do it all again given the chance. “This may be surprising but if I had the chance to do it all again, I absolutely would,” he said. “Shebeen didn’t have the financial impact we hoped, but the world needs new models of creating social good and Shebeen was an attempt at developing one. If it had worked, and could be scaled or replicated, the impact could have been huge. It’s easy to look at any failed experiment and say it wasn’t worth it, but without experimenting and occasionally stumbling, there will be no innovation. Griffiths, who also co-founded the Not for Profit toilet paper company Who Gives a Crap, which donates 50 per cent of its profits to WaterAid, said Shebeen had inspired people. “Closing the business down has been very sad, but we’ve received countless emails from people here and around the world telling us that we’ve changed the way they think about things,” he said. “Some have been inspired to start their own social enterprises. This is an impact we couldn’t have anticipated, and it has been amazing to feel the ripple effect that Shebeen has had! “Ultimately, I deeply believe that success comes from trying something out, learning what worked and what didn’t, then trying again. I have founded three social businesses, and, counting Shebeen, two haven’t worked in the end. It will almost always take several failures to get something right, so it’s important to see the failures as part of the learning process rather than the end point. “When we first had the idea for Shebeen there weren’t really any other social enterprises in Australia – no one really even used the term ‘social enterprise’. We didn’t have the luxury of finding a socially-minded business that we liked and asking to work for them, so we chose to start our own. 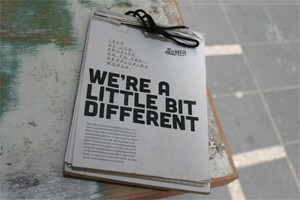 “It’s a very different landscape now. If I were starting again I would try to work for someone I admire and learn everything that I could before stepping out solo. 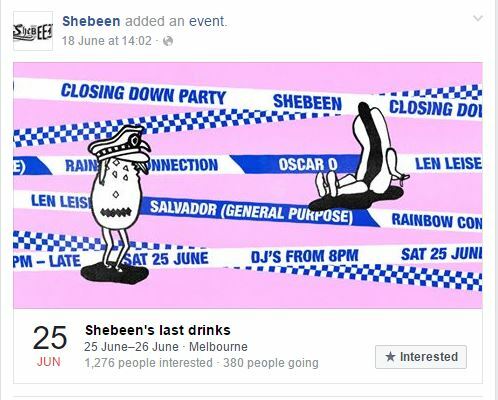 Shebeen will close on 25 June. In a last bid to raise money for their chosen charities Shebeen will be donating part of the takings from the last night. “We’ll be donating 20 per cent of takings from the final night of trade, with DJs, banh mi and bao until last drinks at 3am,” Griffiths said. Any profits from enterprises (they weren’t called social enterprises when they started either) are reinvested into student services that don’t make money. Who knows, they might take the product to sell in their bars and a portion of any profit could go to charities outside the university. Good luck with the next adventure!! !